Fertility is a strong reflection of the health and resilience of our bodies. In today’s population, especially in millenials, we are seeing an increase in infertility. With a modern environment that constantly provides a plethora of stimuli and stressors, it is easy to lose the space that our body requires to reproduce. 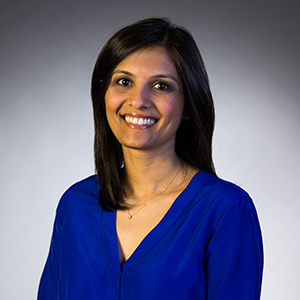 Vrinda Devani, OBGYN, explains how infertility is often a sign of an underlying health imbalance in individuals. When our ojus, the element that creates homeostasis and immunity in the body, is imperfect, so is our fertility. Cate and Vrinda discuss how the critical health issues and infertility of millennials can be interpreted from an Eastern perspective. Poor breathing and stagnation, especially in the lower body and hips, is prevalent in modern society. Although this lack of natural space in the body can drive infertility, a Western perspective ignores this connection. By doing simple things such as getting into nature, singing, a changing out diet and even our makeup products, we can strongly enhance our fertility without unnatural interventions such as progesterone. There are many avenues to explore to address fertility issues, and Cate encourages us to explore and optimize the practices that work for us. 2:45 – When our ojus, the creator of homeostasis in the body, is off, so is our health and fertility. Poor digestion and absorption of food is a sign of this and can be addressed through practices that increase space and improve breath in the body. 8:45 – Stagnation is rampant in our modern environment, where we move less and snack more. This loss of activity is critically linked to the decrease in the space and fertility we may be finding in our bodies. 20:40 – With meditation, breathing practices, and other ayurvedic habits, we can seriously direct our consciousness and energy to other loci in our bodies. By learning how to direct this energy to our womb and fertility centers, we can restore the “juiciness” and vitality that was otherwise lost.